A simple eternity ring formed from precious 18ct white gold and set with 1ct of glittering diamonds. 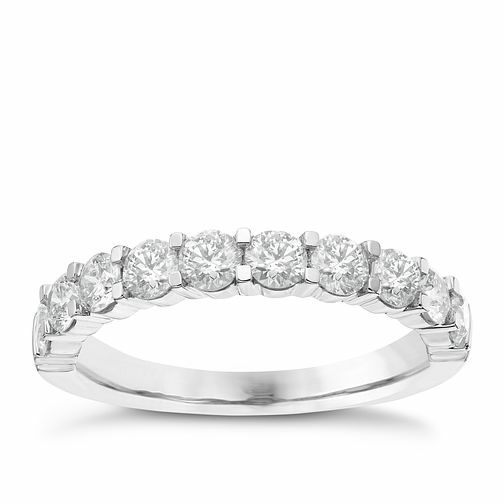 18ct White Gold 1ct Diamond Eternity Ring is rated 5.0 out of 5 by 1. Rated 5 out of 5 by Anonymous from Perfect Exactly what I had hoped - so sparkly and clearly very good quality. It is quite wide (2 diamonds on each side are hidden on the inside of my finger) but it doesn’t take away from how beautiful it is. People always notice it!